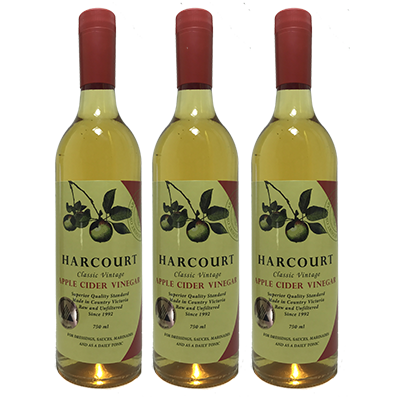 Harcourt Apple Cider Vinegar Mature, is produced from fresh apple juice, naturally fermented and matured. 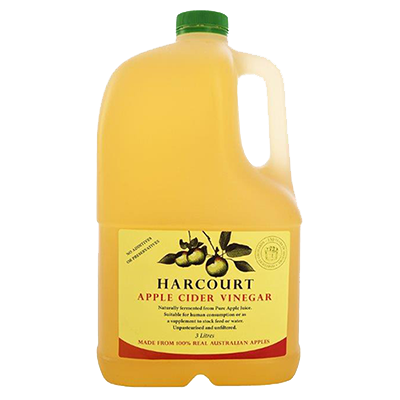 The Apple juice is obtained from Apples grown in the Harcourt Apple region of Victoria. No concentrates are used, and no imported products are added. 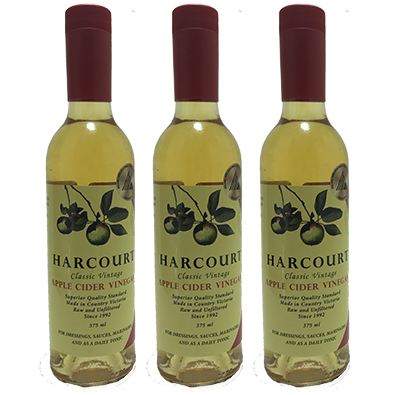 It is unpasteurised and unfiltered, and has the “Mother of Vinegar” still active in the vinegar after bottling. 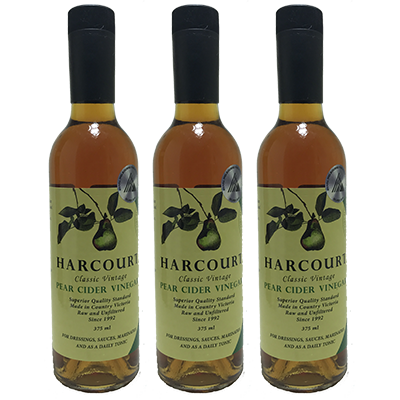 The mother retained in the vinegar ensures that the vinegar continues to mature, developing further in flavour. 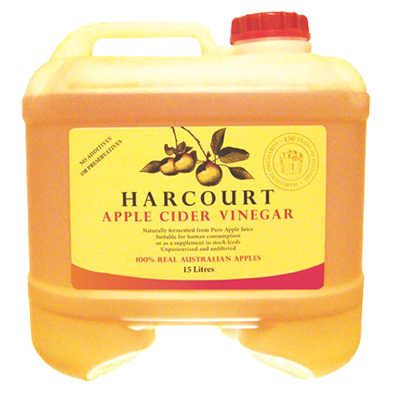 Apple Cider Vinegar is obtaining a new following amoung people going back to proven natural remedies. Apple Cider Vinegar has known benefits internally and externally.